Garage A. Prieur & D. Brunette is a well established business in the Vaudreuil-Dorion area, where it has been in operation for almost thirty years. In 1987, Alain Prieur and Daniel Brunette joined together to open a Texaco service station on Harwood Boulevard in front of the Saint-Hubert restaurant in Dorion. The two partners also provided certain repair and towing services. The company underwent considerable growth, so that the owners decided to expand their services and built a new, larger and more ergonomic garage. In 1991, Garage AD stopped serving gas and moved to 740 Harwood in order to concentrate on repair services. 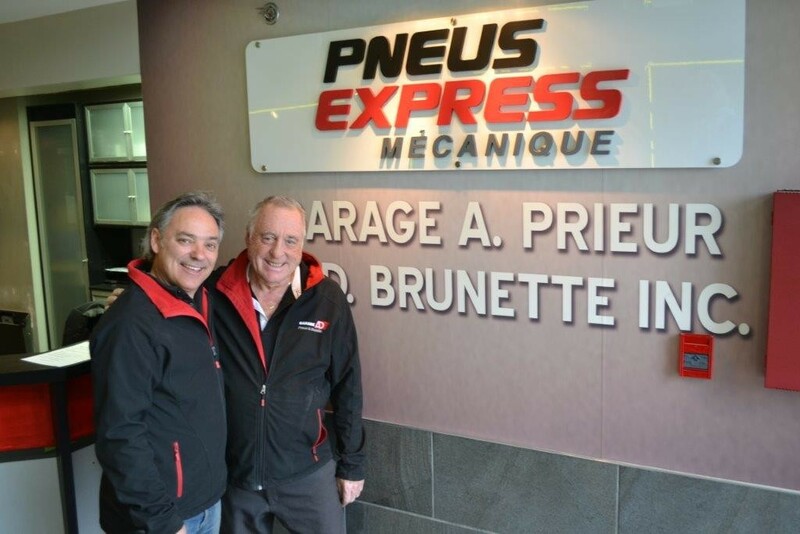 Garage A. prieur & D. Brunette, is now under the banner Pneu Select and is a leader in its field and serves customers in the West Island, Vaudreuil and the surrounding area. Over time, the company has become a major tire distributor in the region. In addition to its wide selection of tire brands, the company has a large stock of wheel rims and mags, auto parts and much more. Customer satisfaction is our first priority and we are committed to making their experience straightforward and pleasant. Customers seeking an estimate, repair, mechanical inspection, tire installation or other service, may count on maintenance that is worry-free and on time, while they relax in our large, comfortable waiting room. With our brand new 10,000 sq ft warehouse, Garage AD has a stock of 15,000 tires, 8,000 steel rims and 2,000 mags. Whatever you need, Garage AD can provide it. Make an appointment right away at your Pneu Select’ branch.